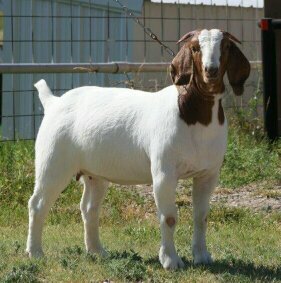 JC BOER GOATS OLIVIA – Fullblood doe out of JC BOER GOATS STREET DANCER multi champion doe and out of AABG NBD MORE POWER. This doe has won several championships including Wyoming State Fair. Owned in partnership with Buck and Natalie Pruitt.